There's a new LEGO line in town and you won't want to miss it! The much anticipated LEGO Fusion line of building sets brings brick creations to life, like never before. LEGO Fusion marries physical brick play and modern technology, creating a new level of creative play that's sure to be a hit with LEGO fans of all ages. 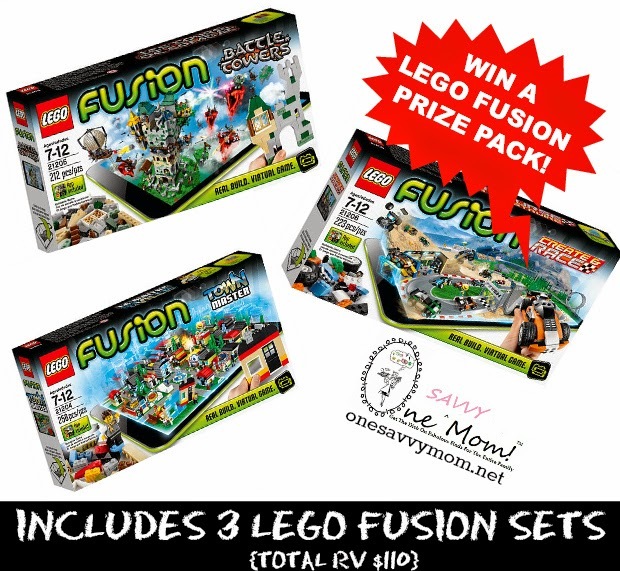 Check out all of the details on this new line and enter to win a LEGO Fusion Prize Pack (includes 3 LEGO Fusion Sets - total RV $110) below! We have a LEGO Fusion prize pack for (1) One Savvy Mom reader! Leave a comment~ Which set from LEGO Fusion line would you like to check out with your child? The comment is considered your entry (make sure to leave an email address in your comment where we can contact you if you win). NOTE: You must first be a PUBLIC FOLLOWER of this blog through Google Friend Connect to enter any of the Giveaway's offered on One Savvy Mom. 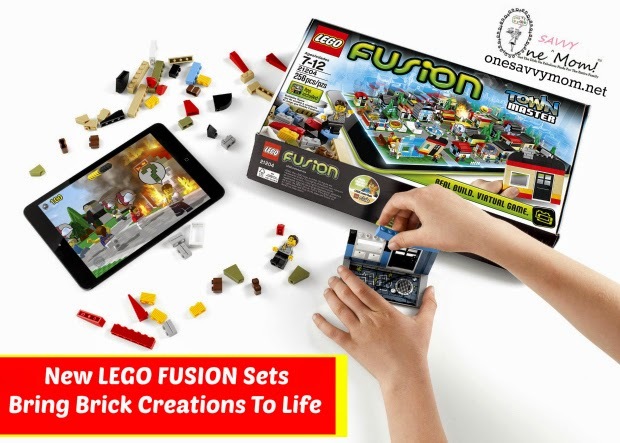 2nd daily tweet: I want to #WIN a LEGO FUSION Prize Pack @one_savvymom w/ 3 Sets! (rv $110! )http://bit.ly/VqQpnC #GIVEAWAY (can be repeated twice daily for additional entries~ copy paste please - the bit link must be posted in the tweet - we will check) (Additional 2 Entries - 2 Comments per tweet / per day). 9) Share this post on Pinterest and leave us a link to the pin in your comments (5 Entries - 5 comments). Entry to this giveaway ends at 12pm PST August 25, 2014. Winner's are chosen randomly through random.org. The winner will be announced here within 2 days of the giveaway ending. The winner will be contacted through email so, make sure you leave a valid email address. The winner will have 48 hrs. to respond or another winner will be chosen in place. **DISCLOSURE: The opinions I have expressed in this post are my own. I am disclosing this in accordance with the Federal Trade Commission’s 16 CFR, Part 255. I would love to play with this with my children! They have already seen it an asking me for it tonight. Went on-line and found you! Boy am I glad I did! They are so so excited! Town Master is the one they are most interested in. Love Lego and who doesn't! We all grew up with them. now they are entering in a new direction and we want to be apart of it.Love to win anyone of these sets all three(AWESOME)! Thank you for bringing us some of the bedt in toys for my children's imagination and hand eye cordination. I love the town racers set! hope to win! I put so much work into it for the kids!